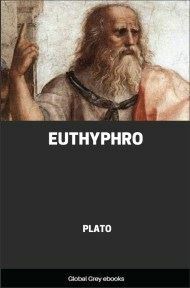 Euthyphro is one of Plato's early dialogues. Taking place during the weeks leading up to Socrates' trial, the dialogue features Socrates and Euthyphro, attempting to define piety or holiness. In the Meno, Anytus had parted from Socrates with the significant words: ‘That in any city, and particularly in the city of Athens, it is easier to do men harm than to do them good;’ and Socrates was anticipating another opportunity of talking with him. In the Euthyphro, Socrates is awaiting his trial for impiety. 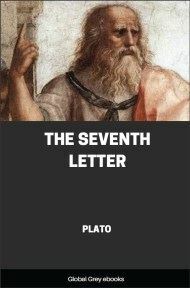 But before the trial begins, Plato would like to put the world on their trial, and convince them of ignorance in that very matter touching which Socrates is accused. An incident which may perhaps really have occurred in the family of Euthyphro, a learned Athenian diviner and soothsayer, furnishes the occasion of the discussion. 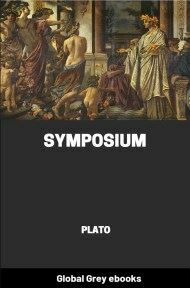 This Euthyphro and Socrates are represented as meeting in the porch of the King Archon. (Compare Theaet.) Both have legal business in hand. Socrates is defendant in a suit for impiety which Meletus has brought against him (it is remarked by the way that he is not a likely man himself to have brought a suit against another); and Euthyphro too is plaintiff in an action for murder, which he has brought against his own father. The latter has originated in the following manner:— A poor dependant of the family had slain one of their domestic slaves in Naxos. The guilty person was bound and thrown into a ditch by the command of Euthyphro’s father, who sent to the interpreters of religion at Athens to ask what should be done with him. Before the messenger came back the criminal had died from hunger and exposure. This is the origin of the charge of murder which Euthyphro brings against his father. Socrates is confident that before he could have undertaken the responsibility of such a prosecution, he must have been perfectly informed of the nature of piety and impiety; and as he is going to be tried for impiety himself, he thinks that he cannot do better than learn of Euthyphro (who will be admitted by everybody, including the judges, to be an unimpeachable authority) what piety is, and what is impiety. What then is piety? Euthyphro, who, in the abundance of his knowledge, is very willing to undertake all the responsibility, replies: That piety is doing as I do, prosecuting your father (if he is guilty) on a charge of murder; doing as the gods do — as Zeus did to Cronos, and Cronos to Uranus. Socrates has a dislike to these tales of mythology, and he fancies that this dislike of his may be the reason why he is charged with impiety. ‘Are they really true?’ ‘Yes, they are;’ and Euthyphro will gladly tell Socrates some more of them. But Socrates would like first of all to have a more satisfactory answer to the question, ‘What is piety?’ ‘Doing as I do, charging a father with murder,’ may be a single instance of piety, but can hardly be regarded as a general definition. Euthyphro replies, that ‘Piety is what is dear to the gods, and impiety is what is not dear to them.’ But may there not be differences of opinion, as among men, so also among the gods? Especially, about good and evil, which have no fixed rule; and these are precisely the sort of differences which give rise to quarrels. And therefore what may be dear to one god may not be dear to another, and the same action may be both pious and impious; e.g. your chastisement of your father, Euthyphro, may be dear or pleasing to Zeus (who inflicted a similar chastisement on his own father), but not equally pleasing to Cronos or Uranus (who suffered at the hands of their sons). Euthyphro answers that there is no difference of opinion, either among gods or men, as to the propriety of punishing a murderer. Yes, rejoins Socrates, when they know him to be a murderer; but you are assuming the point at issue. If all the circumstances of the case are considered, are you able to show that your father was guilty of murder, or that all the gods are agreed in approving of our prosecution of him? And must you not allow that what is hated by one god may be liked by another? Waiving this last, however, Socrates proposes to amend the definition, and say that ‘what all the gods love is pious, and what they all hate is impious.’ To this Euthyphro agrees. Socrates proceeds to analyze the new form of the definition. He shows that in other cases the act precedes the state; e.g. the act of being carried, loved, etc. precedes the state of being carried, loved, etc., and therefore that which is dear to the gods is dear to the gods because it is first loved of them, not loved of them because it is dear to them. But the pious or holy is loved by the gods because it is pious or holy, which is equivalent to saying, that it is loved by them because it is dear to them. Here then appears to be a contradiction — Euthyphro has been giving an attribute or accident of piety only, and not the essence. Euthyphro acknowledges himself that his explanations seem to walk away or go round in a circle, like the moving figures of Daedalus, the ancestor of Socrates, who has communicated his art to his descendants.